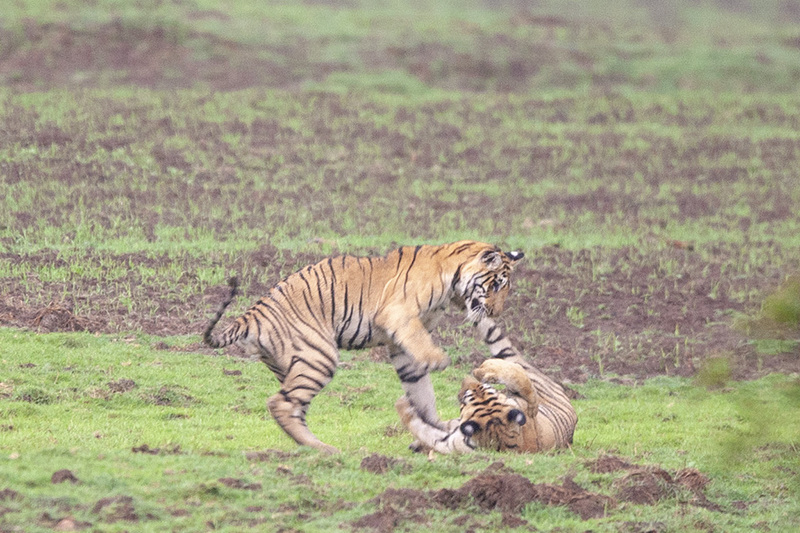 On this first safari in Tadoba National Park, we realised that the monsoon was setting in and we were in for the occasional light drizzle. 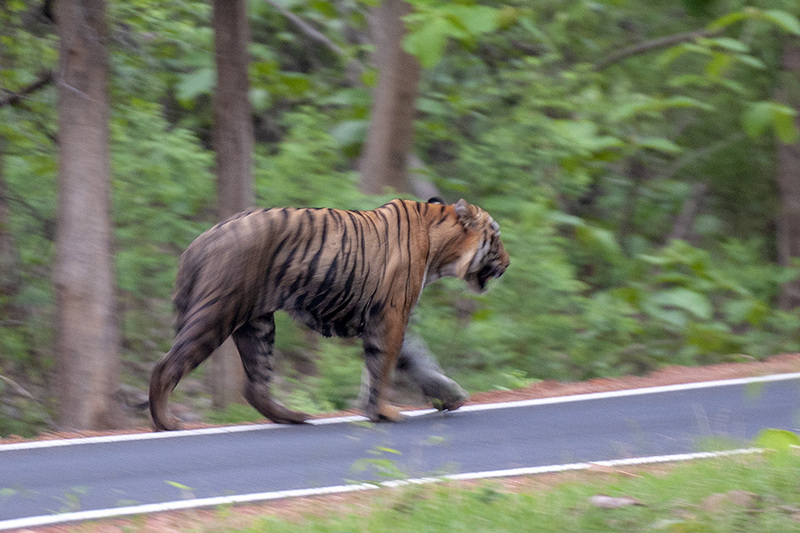 We were around the territory of a popular Tigress with two fully grown cubs, known to give spectacular sightings and were on the lookout for her. 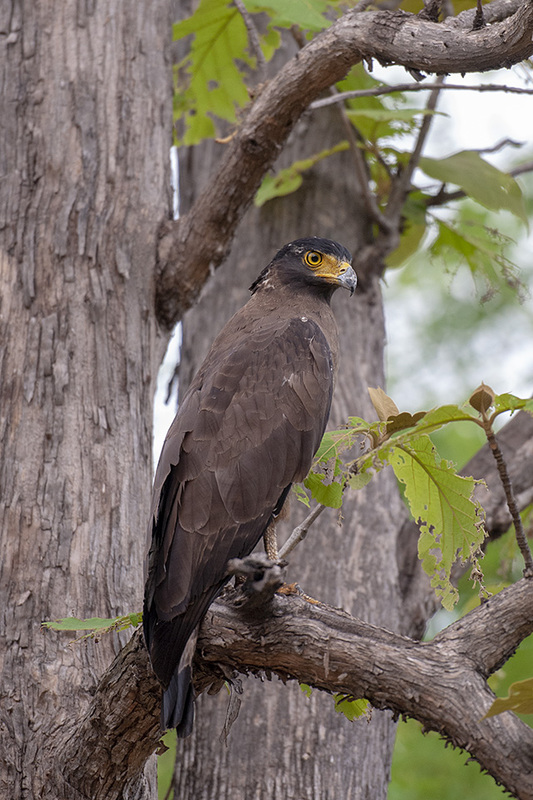 That is when we noticed this Crested Serpent Eagle perched on a low branch. While we waited, we were scanning the landscape and saw the cubs emerge from the banks of the lake. 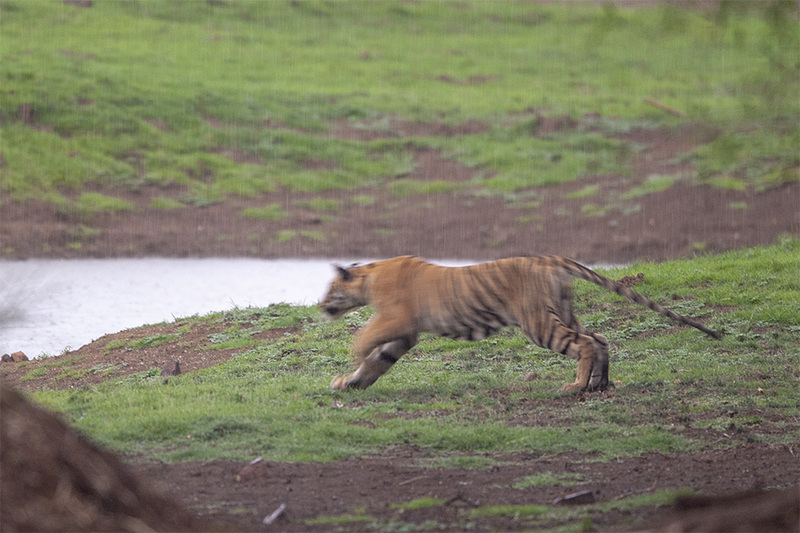 One of the cubs headed towards the tall grass to shelter itself from the rains. 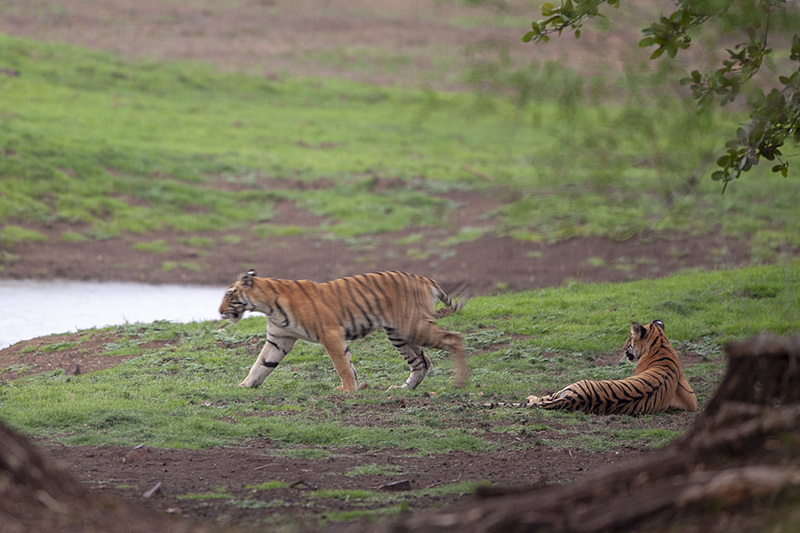 The other cub followed suit and we thought we would not see them again. 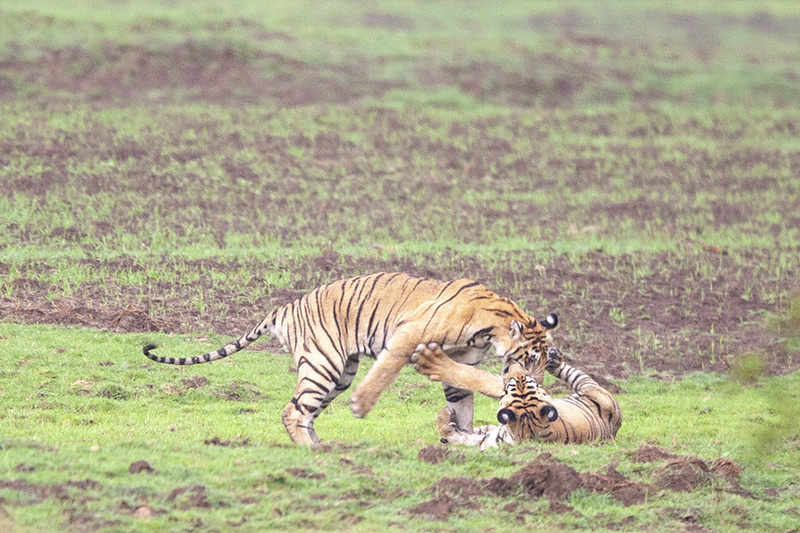 To our amazement, both the cubs emerged further away in the open, and started to play amongst themselves. The light conditions weren’t conducive for good pictures, but I kept clicking to record the lovely experience.As we headed back out of the park, we caught a glimpse of Matkasur, the father of the cubs, disappearing into the evening twilight. We hoped to get a good sighting of him on subsequent safaris.